COMMUNITY CHAMPIONS are passionate about Northwest Iowa and want to share their love for our region with folks they know – who they wish also lived here. COMMUNITY CHAMPIONS serve as brand ambassadors for Northwest Iowa, sharing information about all the careers, housing and FUN in our region and convincing people to move here. COMMUNITY CHAMPIONS communicate with people they know via email, text messaging and social media. COMMUNITY CHAMPIONS earn recognition for helping Northwest Iowa grow – and can win REWARDS! Individuals will move here and enter the workforce. Individuals will move here and start a business or purchase an existing business. More customers will visit local shops and service providers. New students will enroll in area schools. The region will experience more housing starts and development opportunities. More volunteers will donate their time and become members of nonprofits, churches and other organizations. Your first step to helping Northwest Iowa grow is to sign up as a Community Champion (see below). Your second step is to identify someone you know who lives far, far away that you’d wish were living HERE in Northwest Iowa and share their contact information with us (see below). We call these folks “Movers” because we want them to move here. To nominate a Mover, you must first Login to your Community Champion Dashboard page using the email and password you shared in Step 1. 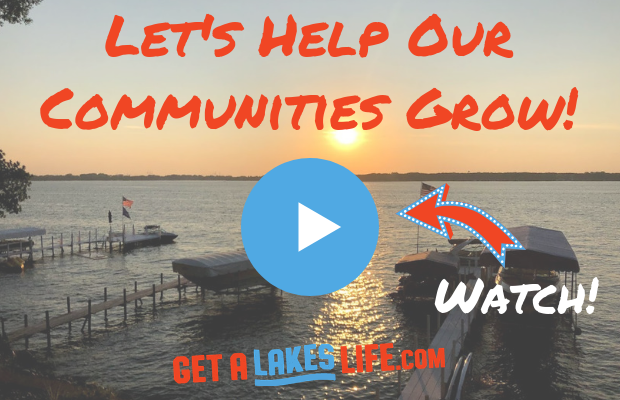 Share digital media elements we call DigiBits – picture memes and videos – that tell the story about the cool careers, places to live and FUN that your Mover will enjoy when they Get a Lakes Life!!! You do this from your Champion Dashboard page as well. Your second step is to identify a friend, family member or colleague you know who lives far, far away that you’d wish were living HERE in Northwest Iowa. We call these folks “Movers” because we want them to move here. To nominate a Mover, you must first Login to your Community Champion Dashboard page using the email and password you shared in Step 1 above. You can browse the DigiBits Vault and pick picture memes and videos to share with your Mover. You can follow one of our recipes, with YOU sharing the DigiBits we recommend — following our prescribed schedule. COMING SOON — You can ask US to share DigiBits for you using our automated marketing platform. You can review the recipe in advance, so you know WHAT we will say and WHEN we will say it. The first recipe we have for your use targets health care professionals. COMING SOON — Additional recipes are under development for manufacturing careers, food processing, financial services, information technology and other great careers. Over 100 Community Champions have already stepped up. Are you curious if you know any of them?